Home » Win a Kindle Fire HD 7 ” Tablet – What do you like to read? As a young boy, British-born Sebastian St. Clair was abandoned in France and forced to join the French army to survive. Now that the war is over, he has returned to his beloved England and is determined to live a quiet life as a country gentleman. He’s struggling to make that wish come true when he falls for his elderly aunt’s practical and unpretentious companion, Miss Millicent Danforth. But an old enemy threatens this new love, and plots to destroy everything Sebastian holds dear. Sebastian will have to use all of his wits if he’s to hang on to his life, his honor…and Milly’s love. 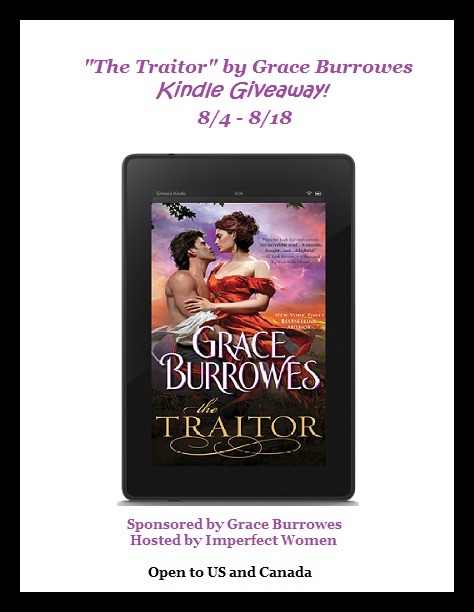 10 lucky readers will win a print copy of The Traitor. Sweepstakes ends Monday, August 18th at 11:59pm ET. Disclosure: Imperfect Women and A Medic’s World was not compensated for this post. We are not associated with any of the companies named above. No purchase is necessary to enter. The odds of winning are based on the number of entries received Open to US residents only. 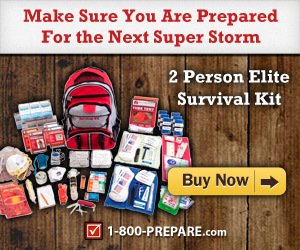 The sponsor(s) will be responsible for product shipment to winner(s) of this giveaway. This event is in no way administered, sponsored, or endorsed by, or associated with, Facebook and/or Twitter, Google, Pinterest. This disclosure is done in accordance with the Federal Trade Commission 10 CFR, Part 255 Guides Concerning the Use of Endorsements. Entrants must only enter with either one email address, IP address and/or Facebook account, anyone found violating these rules will be disqualified. It is at the sole discretion of the admin of the giveaway if the winner has met the rules or not. I really do love settling down with a book on a sunny day, just curled up with pillows. But, more likely, I am doing my reading at night just a little before bed. I like to catch up on my reading in the afternoon because I like to sleep late, and I have a lot to do at night. I like to read at night after my kids go to bed because it’s quieter. My favorite time to read is in the evening when everyone is sleeping so i dont get disturbed. I just want the Kindle. Good luck, but you might win the book instead. When the little baby I nanny goes down for a nap in the afternoon I like to go read outside in the sunshine. My favorite time of day to catch up on reading is 10 pm. It is when everything is quiet, the dogs are sleeping and the kids are home for the night. So I can relax and read! I like to read around 5 o’clock because that is when I am most focused on reading. My favourite time to read is late at night/early morning. That is when everyone else is sleeping. I actually like reading in the early morning while sitting out on the porch. It’s nice and peaceful! my favorite time to read is at night after my son goes to sleep. i love the peace and quiet. My favorite time is before bed – because that’s the only free time I seem to get. I enjoy the time, until I fall asleep. The link to the “Awesome page” doesn’t appear to be working. Mid afternoon is my favorite time to catch up on my reading. It allows me to have a break in the middle of the day to be calm and focus on myself for a bit. I don’t sleep as much as my wife, so my favorite time to read is the hour or so after she goes to bed. My favorite time to read is very late in the evening because everything is very quiet. I am speaking of inside as well as outside. I love to catch up on reading after my sons have gone to bed. I also love reading when we are traveling, by car or plane. My favorite time to read is early in the morning when I am awake. SOS. Help. Pick me, pick me! Your next winner!!! Show me the money!!! It would be a dream come true & means more to me than anyone else to win. Starving artist here desperately needs the -kindle-fire-hd-7-tablet- to work & eat again. Winner, winnner. Chicken dinner. A life changing experience. Top of my bucket list. Thanks for the awesomeness, the contest, & generosity. Dear Santa: I have been nice. My X-Mas wish this year is to win this contest. My favorite time to read is at night time when I am trying to sleep. I do most of my reading between 6 and 8 PM, that’s when I have the time to actually focus and concentrate. I love to read anytime of day and all year long. Just depends when I want to read. But a great book that captures my attention and my imagination has me never wanting to put it down and I will read it all in a day or so. My favorite time to read is the late afternoon or evening when it’s the most quiet. I love reading anytime. Mostly, I do it when everything is done and we don’t have any pressing engagements. I especially enjoy reading with my kids. We share many adventure and set aside time everyday to read with each other. I like to read in the morning while eating my breakfast. I feel well rested and more able to concentrate. My favorite time to read is when everyone is asleep in the morning while I have a cup of coffee. I like to read in the afternoon, especially if it’s a nice day and I can go out on the deck. I like to catch up on my reading after dinner when I know all the things I needed to get done have be completed and I’m the most relaxed. My favorite time of day to catch up on reading is in the afternoon! Late in the evening is the best time for me to relax with a good book and enjoy piece and quiet time all for myself, especially when everything is all done for the day. My favorite time to read is at night after my son is asleep. I would prefer to read during the day when I’m more awake and my brain is working but he tends to interrupt me so night time is just easier.